Pres. H. L. Donovan, Dr. Willis Sutton, Dr. A. T. McCormick, Mr. Charles F. Weaver, Dr. Jay B. Nash, Mr. C. C. Weber, Dr. Delbert Oberteuffer. 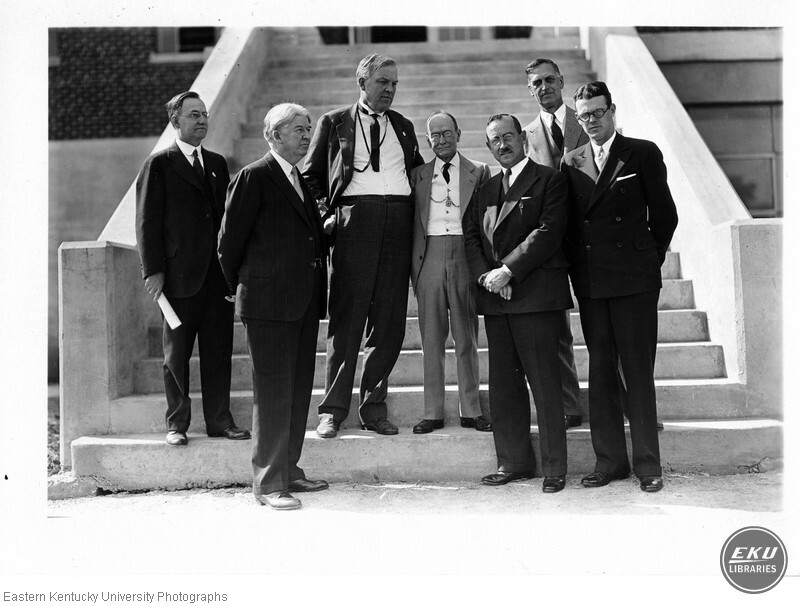 “Men at the Weaver Building dedication,” Digital Collections, accessed April 18, 2019, https://digitalcollections.eku.edu/items/show/44395.